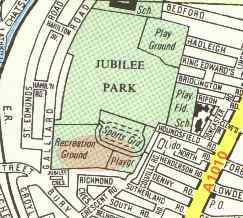 In Update No 5 mention was made of the difficulty in identifying the location of the South brickfields in Bury Street, Edmonton, which closed circa 1914. The Archive has been most fortunate to obtain the notes of the late Sidney Beadle, a member of the Edmonton Hundred Historical Society, who was researching brickmaking in Edmonton. 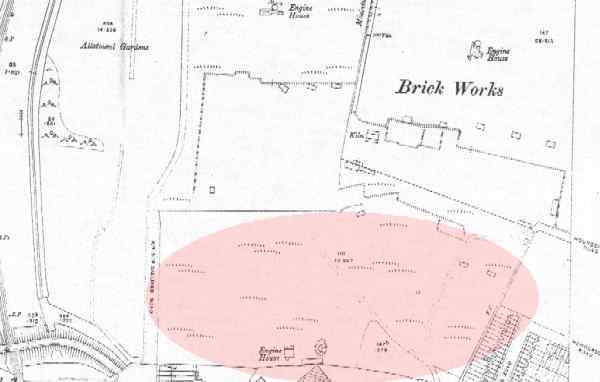 He had located the site of the South brickfield in Bury Street adjacent to the brickworks of competitors W D Cornish, W Piggott, T & M Plowman and Smyth & Co. The brickfield was operated by Joseph(2), the eldest son of Joseph(1), and following his death in 1897, his widow, Sarah, attempted to continue and was listed in Rating valuations as the brickmaker. However, this did not last for very long and Samuel(1) took over. Sarah is also shown as owning property in Chester Road and St Peter's Road, Edmonton. In Update No 2 brief mention was made of the research by Judith Cranfield (granddaughter of Joseph(1) and Mary Ann Dutton) into the South emigration to New Zealand. Joseph(1) and Mary Ann sailed from London as assisted passengers on the "Buckinghamshire" departing on 7 March 1874 and arriving at Port Chalmers on 29 May 1874. 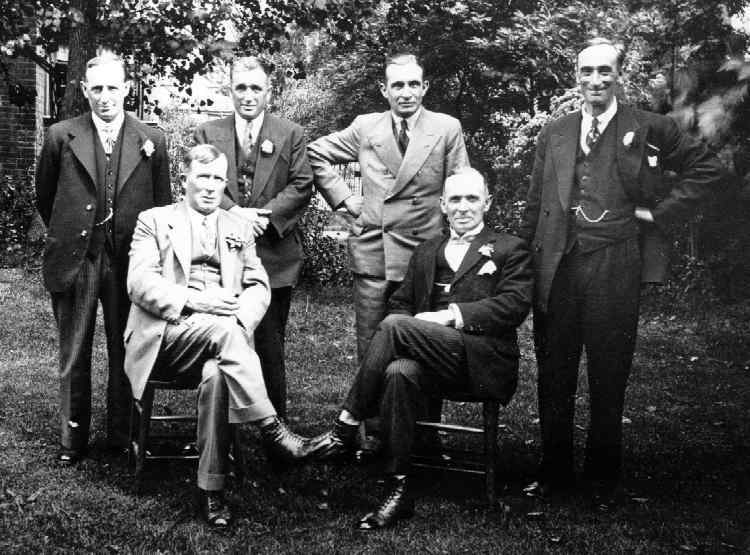 They were accompanied by the four youngest children of his first marriage to Emma Bright and the youngest (surviving) child of his second marriage. False ages and names were given, presumably, to qualify for the assisted passage. Judith has also provided interesting notes and comments on Primitive Methodism to which Joseph(1) subscribed both in the UK and after his arrival in New Zealand. 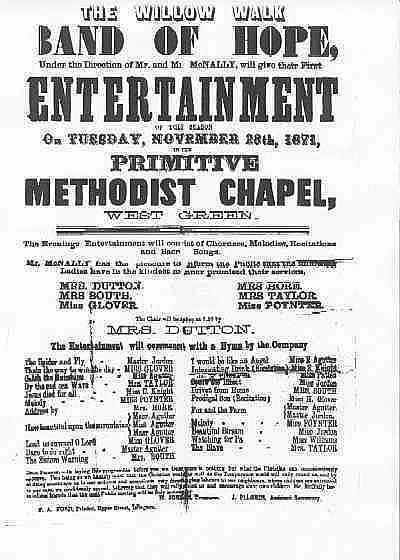 Of particular interest is an evocative poster advertising an entertainment at the Chapel in West Green, Tottenham held on the evening of 28 November 1871. The adherence to the movement was apparently continued by Samuel(1) and, at one time, Samuel(2) attended a private school at the back of the Primitive Methodist Chapel in Northumberland Park, Tottenham.